Helen Fielding’s classic comedy-drama details the life of Bridget Jones, a regular woman with regular plans, just like other regular women. To get the answers, she believes in doing the following three things: a. to lose 7 pounds, b. to stop smoking, and c. to develop Inner Poise. Bridget Jones’ Diary is a self-aware romp charting the daily struggle of Bridget’s never-ending quest for self-improvement — a year in which she resolves to: reduce the circumference of her thighs by a mere 1.5 inches each, visit the gym three times a week without the sole reason of buying a sandwich, form a serious relationship with another liable adult, and learn to program the VCR. 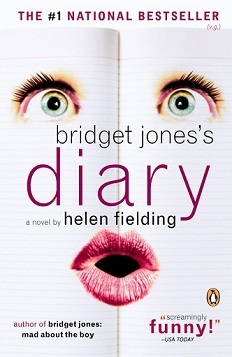 A relatable book for most thirty-something year old female singletons with an awkward social standing, Bridget Jones’ Diary is a multi-award winning novel that reminds them that they’re not alone and each of them is a Bridget Jones deep within. The biggest setback to the novel is the Adrian Mole-style diary narrative which might bore some readers who’ve seen this style many times before.